The Papua New Guinea SP Hunters have finalised twenty-nine men squad for this year competition. 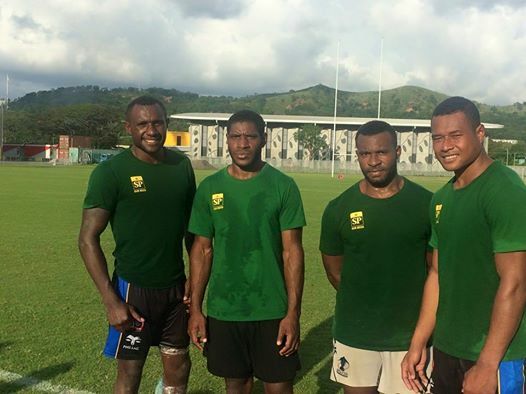 Hunters and Kumul Coach Michael Marum have announced the team at their training session at National Football Stadium. Fifty-three men squad during the start of the pre-season training was trimmed down to thirty-three with the inclusion of four academic players selected to be part of the training team. Coach Marum said their one week training at Goroka was tough in which made him to release some senior players during the training because of failing to pass fitness test. Marum said the squad made of experience players as well in which he believes is a bonus for the club. With the comeback of Israel Eliab and the Wellington brothers, it will motivate the players. Coach Marum also said future of Hunters club will also depends on young and talented players when asked about the four academic players. He said involvement of the players is to assist them to gain experience for future big match and training as well. The four will be release to their Digicel Cup teams and hopefully will make it again into the Hunters Squad. Meanwhile, spots will be available for Digicel Cup players during the tournament. They will have only one trial match next month in Cairns against Northern Pride. Their objective for this year is to make it into the final.